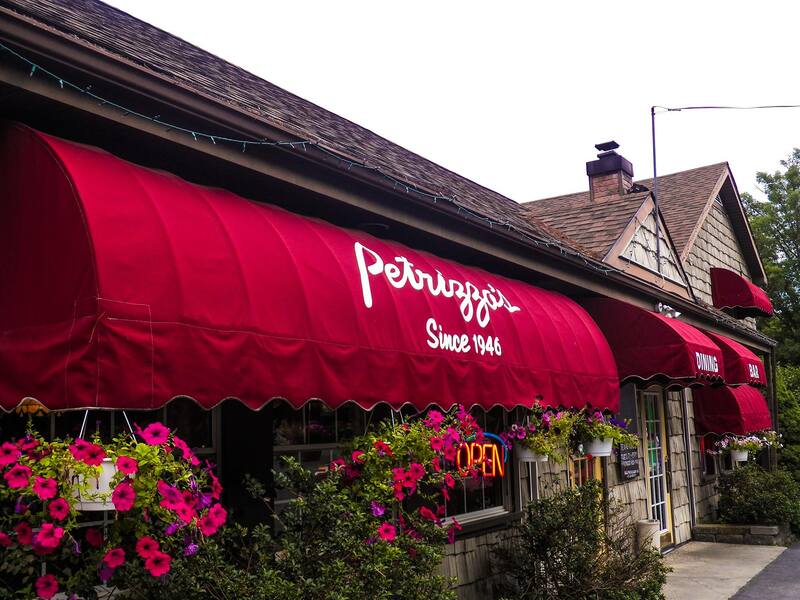 Well known in and around Bushkill for our traditional Italian-American cuisine, Petrizzo’s takes pride in providing an atmosphere that people feel comfortable in and enjoy coming back to. We are a family owned home away from home for many vacationers, weekend and holiday travelers. Over the years we have met many new friends and have seen their families grow just like ours has. We invite you to also become a part of our extended Bushkill family. As a family friendly restaurant, we know how important it is to provide a comfortable and inviting atmosphere for all of our guests. We welcome you and your family to experience what only a family style place can offer. We also now offer our Jungle Tiki Bar for our adult guests, but the outdoor dining surrounding the Tiki Bar can be enjoyed by all family members. Keeping with our Bushkill family traditions, our marinara sauce, spaghetti sauce, meatballs, clam sauce and pizza sauce are homemade, using the same recipes used by the previous two generations of the Petrizzo family. We take pride in knowing that our food is homemade and we believe it is appreciated by our customers. Our burgers are hand-pressed fresh ground beef and we slow roast the pork ribs in our house barbecue sauce. We use fresh veal – no veal patties here – and fresh chicken marinated in our house marinade. Of course, our soups are homemade as well. We offer a diverse menu that will certainly appeal to all members of your family. The third generation of the Petrizzo family still use the same recipes the previous generations used. Along with our traditional Italian style dishes, our Seafood Bisque has won over its share of raving fans. Other fan favorites are, of course, our Pizza, Ribs, Steak sandwiches, and freshly made American Style Burgers.